Members of the Baltimore/Washington, D.C., Clemson Club had the unique opportunity to go bowling at the Truman Bowling Alley Washington, D.C., on February 10, 2016. Once housed in the White House where the present-day Situation Room is located, the alley is now located in the Eisenhower Executive Office Building (EEOB). Thanks to Mike Palmer ’97, these Tigers enjoyed a tour of the EEOB and two hours of bowling on the most historic and exclusive lanes in the world. Pictured: Back row: Mike Palmer ’97, Mark Derrick ’91, David Rochester ’68, Catherine Rochester, Ken Bowen ’86, P’18, P’18, Michael Coakley ’91, Spencer Neal ‘95. Front row: Rachael Neal ’97, Elizabeth Jackson ‘06, Elizabeth Bowen P’18, P’18, Beth Coakley ’93 and Holly Cirrito ’95. Fore more information about the Baltimore/Washington, D.C., Club, go to www.clemsonclub.org/. From an early age, Caroline Robertson was a wallflower — so shy that even a teacher calling on her in high school riddled her with immediate panic. But these days, “no” isn’t even an option. 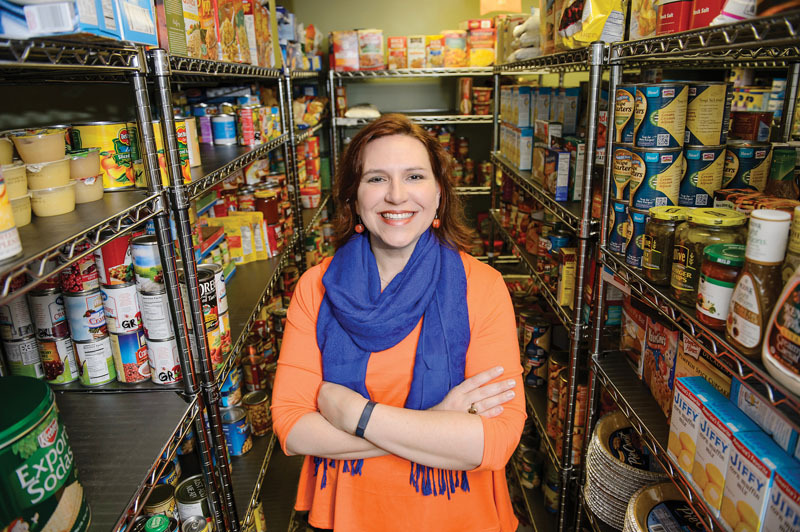 A personal challenge she made to herself while at Clemson shaped Robertson into a strong-willed, determined nonprofit executive who fights tooth and nail for her clients to succeed and have the same opportunities she’s been afforded. Since 2007, Robertson has headed up Greer Relief and Resources, making sure every can of corn feeds a hungry tummy and every monetary donation helps a family’s financial crisis. “The legacy I’m leaving is one of fearlessness. I don’t say no to anything especially when it comes to outreach and publicity. Because I’m not just talking to someone who might just help us donor wise, but also need wise. I want anyone who needs us to know they can get to us. In that respect we’re not afraid. We’re not afraid to ask for help. We’re not afraid to give help. We’re not afraid to say we need to give more and do more. It doesn’t take much,” she said. In 2015, Greer Relief assisted 3,927 individuals in 1,564 households. In addition, 10+ days of food was given to 4,991 people in 1,906 households. Having the gumption to be an advocate for others started in college with a promise to no longer let shyness dominate the determined will that truly existed within her. Each week Robertson made herself sit in the front of the class and raise her hand at least once. She also made herself take speech as a first-semester freshman. After freshman year she joined the national service sorority Gamma Sigma Sigma and became the sorority’s public relations officer. She was a founding member and vice president of membership for Kappa Kappa Psi, a national honorary band fraternity. By mid-college she was house manager for Tiger Paw Productions and organizing shows for James Taylor, Tim McGraw and Faith Hill, and Hootie and the Blowfish. “There were times where it was questionable if I could even afford to go to school, but I wouldn’t take no for an answer and did whatever needed to be done. Now, I take that same attitude into Greer Relief,” she said. Christy Belcher wrapped her arms around the newborn giraffe much like she did a foal during her field training at Clemson. Belcher had arrived at the Greenville Zoo early Feb. 2 after receiving a 5 a.m. phone call. Initially, she ignored the call, thinking she was hitting snooze on her alarm. The phone rang again. She sprang awake, now realizing what was happening. The zoo’s female giraffe, Autumn, was giving birth to her third calf. Adrenaline racing, Belcher hurried through the dark and fog to the downtown Greenville Zoo. When she arrived, Autumn was standing in her stall, in the early stages of labor. Tatu, a boy, was born at 6:16 a.m.
Tatu was standing within an hour. “We’ve had a lot of sleepless nights, but it’s well worth it,” Belcher said. 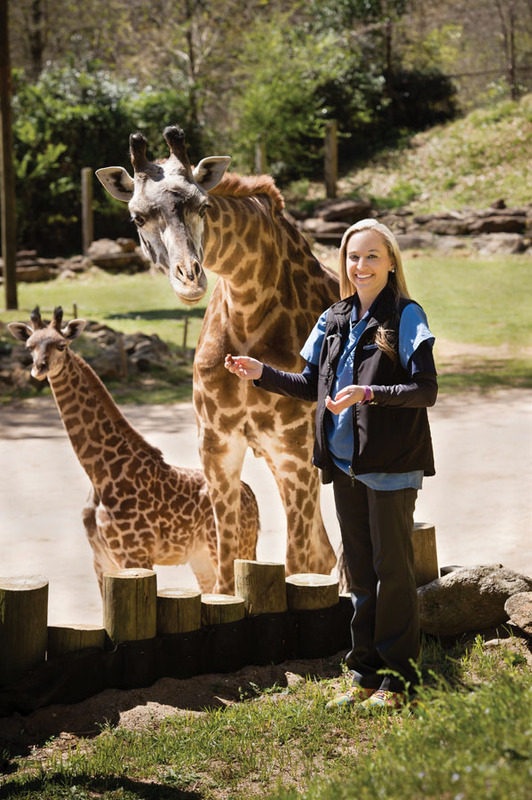 A 2003 graduate of Clemson’s Animal and Veterinary Sciences program, Belcher has been a veterinarian at the Greenville Zoo since 2009. An Easley native, she was always fond of animals. As a child, she would sneak turtles and snakes into her home against her mother’s wishes. Belcher’s training with livestock on the research farms at Clemson would serve her well as she transitioned to a career working with the 350 exotic animals at the Greenville Zoo. After Clemson, Belcher studied in the Caribbean and at North Carolina State University and Texas A&M University. At the Greenville Zoo, Belcher helped design the first Winter Zoo Vet Camp and collaborated with Clemson’s Animal and Veterinary Science department to design a pre-veterinary science summer internship eligible for college credit. 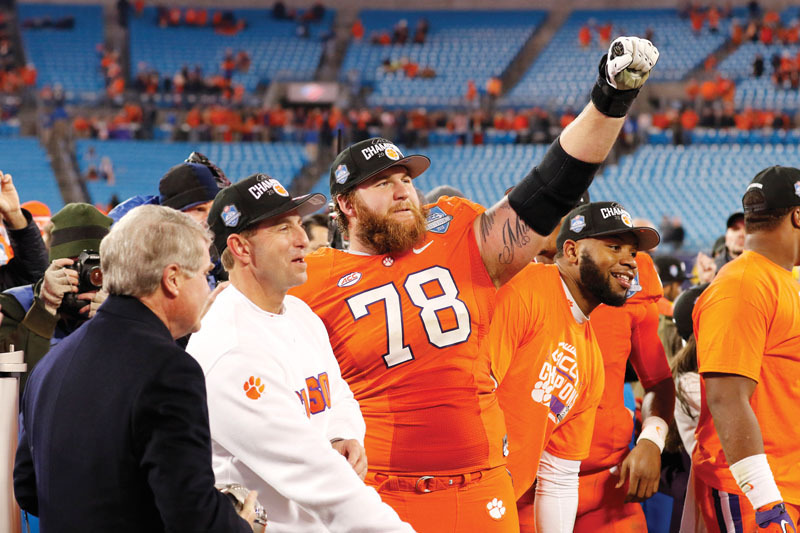 Clemson Tigers can be found in every profession, and many are published authors. Here is a short, but not exhaustive, list of alumni authors and some of their books that may pique your interest. 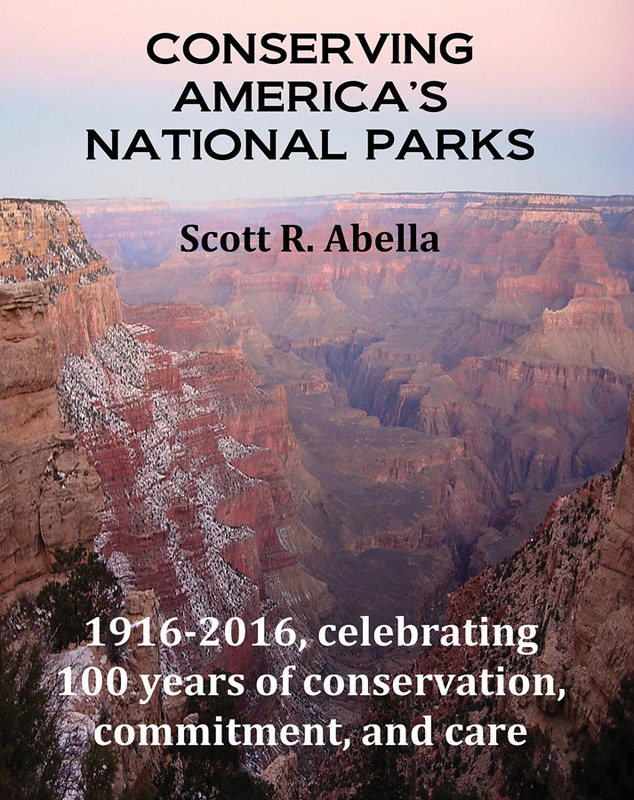 Conserving America’s National Parks (CreateSpace) shares the status of conservation challenges and successes in America’s 408 national parks. 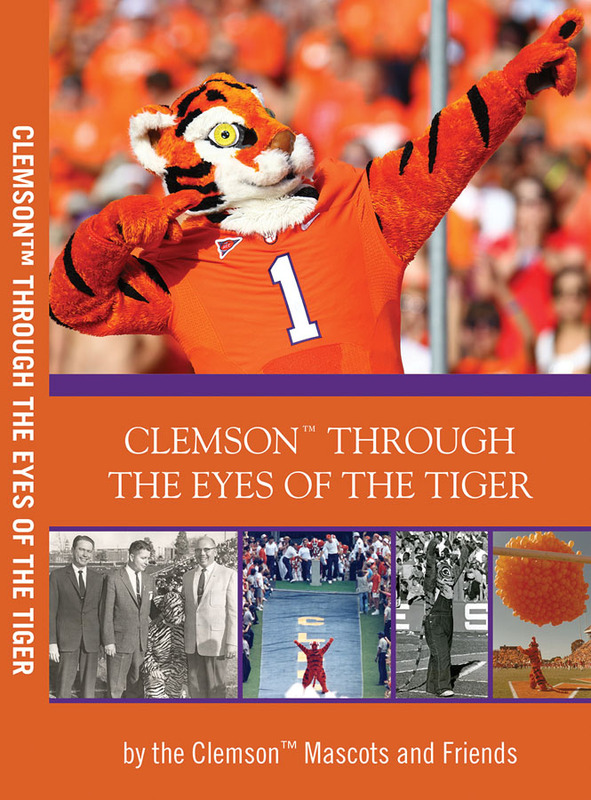 Clemson Through the Eyes of the Tiger (John106Publishing) documents the grit and sweat that goes into becoming the Clemson Tiger mascot. More than 70 people have donned the suit that brings stadiums of cheering fans to their feet each season. 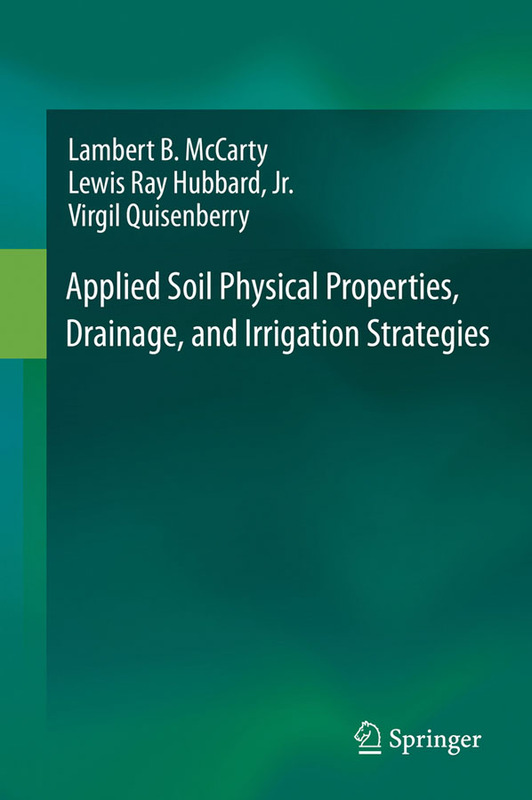 Applied Soil Physical Properties, Drainage, and Irrigation Strategies (Springer). This practical guide aims to demystify the complicated math used in soil physics formulas. 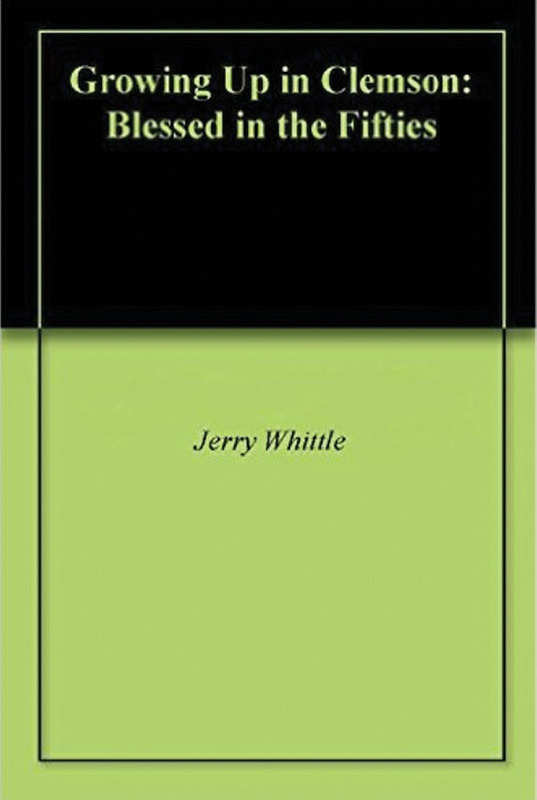 Growing up in Clemson: Blessed in the Fifties (Amazon Digital Services) details the experiences of growing up in a small college town from 1950-1960. 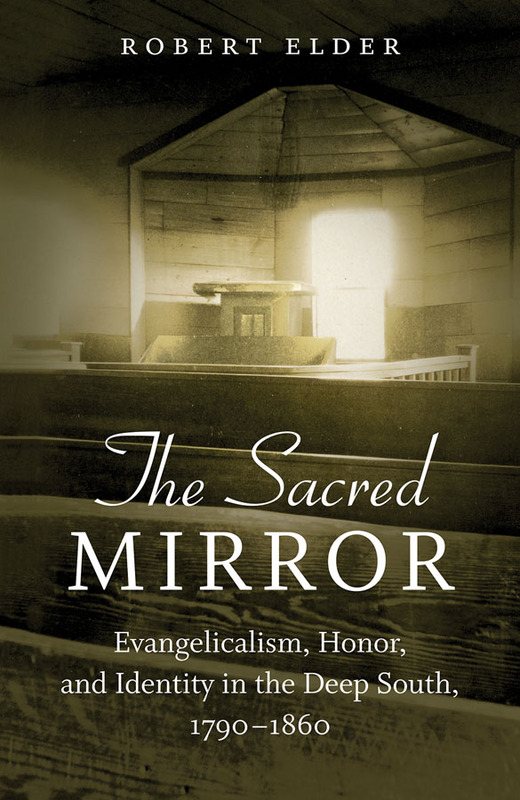 The Sacred Mirror: Evangelicalism, Honor, and Identity in the Deep South, 1790-1860 (University of North Carolina Press) challenges the traditional interpretations of the rise of evangelicals in the South, including in the Methodist, Baptist and Presbyterian denominations. 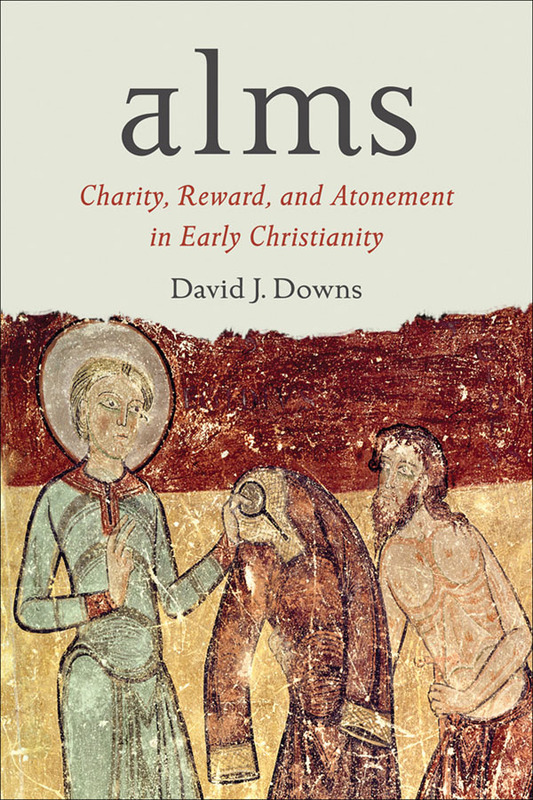 Alms: Charity, Reward, and Atonement in Early Christianity (Baylor University Press) looks at how care for the poor was also an atonement for sin in early Christianity. 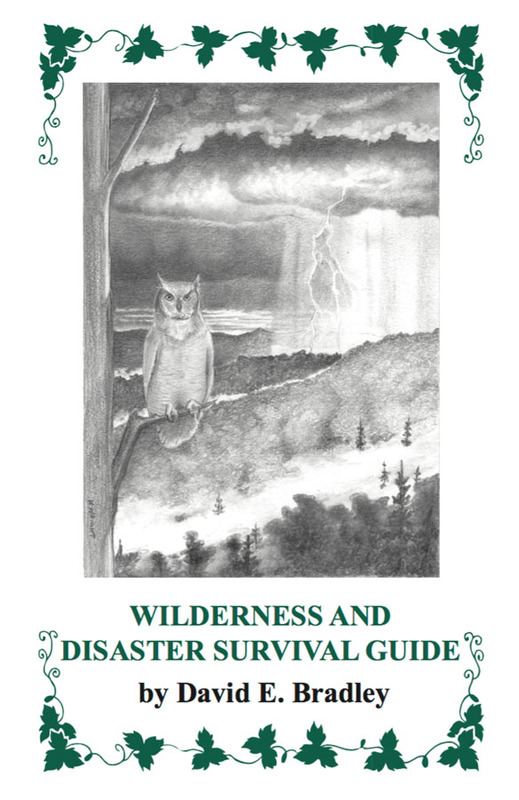 Wilderness and Disaster Survival Guide (self published) tackles survival scenarios from animal dangers to natural and man-made disasters. 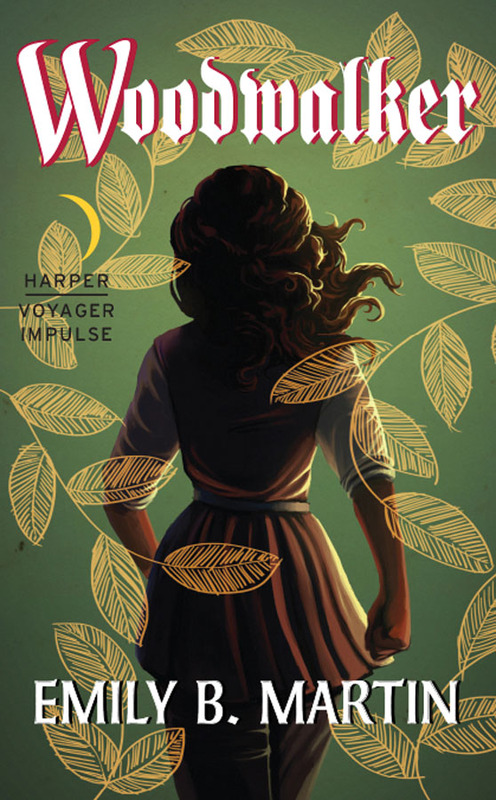 Woodwalker (HarperCollins) is an epic fantasy about the adventures of Mae who is exiled from her home and her people. As Mae embarks on her own, she comes across three out-of-place strangers and risks death to help a deposed queen regain her throne. Read an excerpt here.